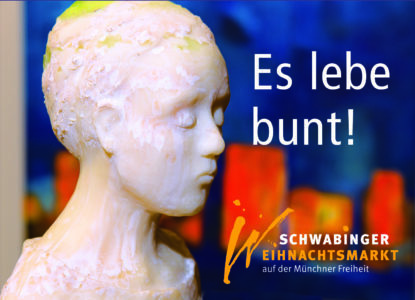 This year’s motto of the Schwabinger Christmas Market is a clear statement to diversity and togetherness. From the 30th of November on artists and crafts people invite you to enjoy the variety of stalls and cultural programme. „Our exhibitors are diverse, their artworks are as well and their lovingly decorated stalls are brightly coloured – and so we hope for a society that is open for the new. This year’s motto is a hommage to variety“, explains Nina Thorp, of the Schwabing Christmas Market.